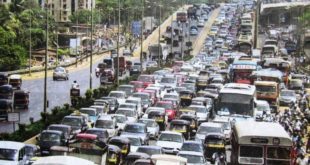 Mumbai is not only the state capital of Maharashtra but is also the financial, commercial and entertainment capital of the country. It is said the city never sleeps and is always on the move. It’s a happening place and is full of fun filled places and people. 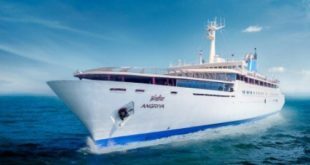 Let’s explore few best places to celebrate the New Year party in Mumbai. 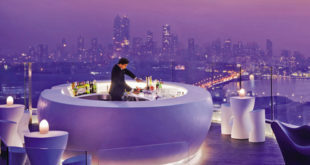 Let’s have a look at the top 10 places to celebrate new year’s eve in Mumbai. It’s a place where you can casually get in enjoy your, drink, food, music , have fun with your friends and spend the evening in a great ambiance. The artistic ambiance will make you visit the place again and again. Situated at Anna building Juhu, the cost for two is merely Rs.1800/-. Call for further details at – 02239967490. 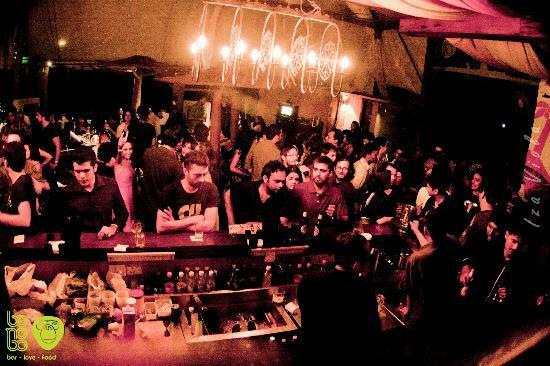 One of the packed and popular bars in Bandra you will not miss it, once you visit. Wonderful ambiance, great food, elaborate drinks, soft lighting, perfect for an evening with your nearest friend. The club has a trendy bar serving international nibbles and food under Mushroom-shaped umbrellas. Situated at Kenilworth shopping Arcade , Linking Road, Bandra, the cost for two is approximately Rs.3000/-. Call at 02226055050/9619930030. 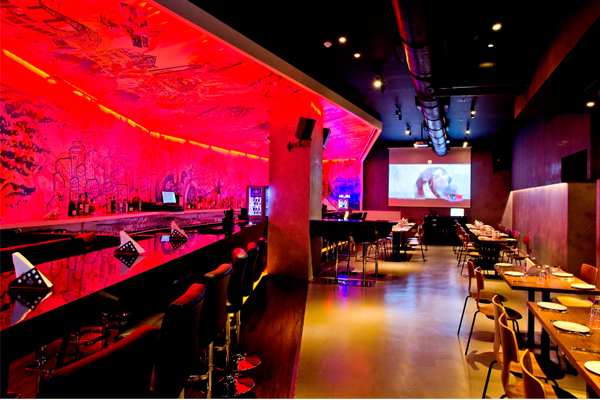 Enter the club which keeps on rocking throughout the night at Mon Repos, Minoo Desai Marg, Colaba. Pulsating bar, with 4000 sq ft has two sound gyrating hydraulic cages, a centerpiece spiral chandelier with over 500 crystal tubes. The New Year parties always have the glitz and glamor at Alibii. 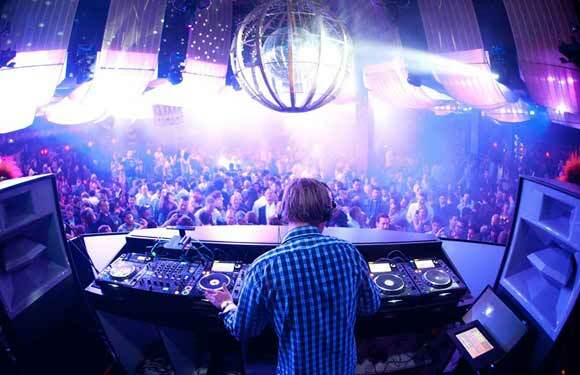 Live DJ performances with flashy and jazzy lights will make your foot moving for long. Specialty is the drinks served and the food compliments them all. The cost for two is around Rs.3000/- and can contact at-08976000191. 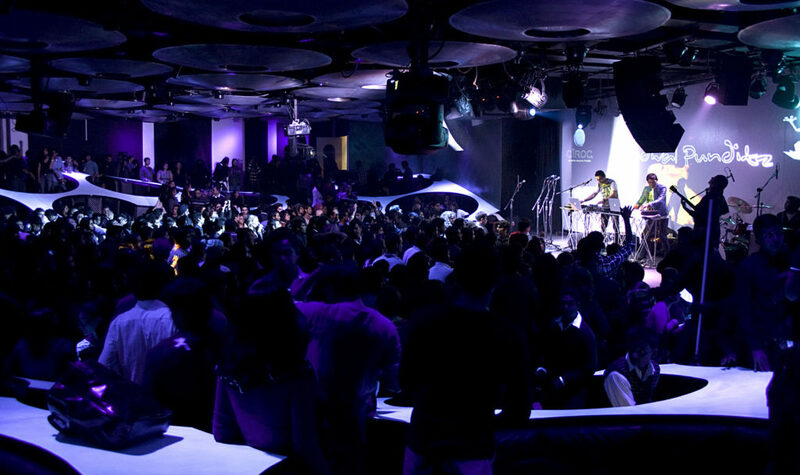 Famous for being one of the favorite clubs for celebrating New Year last year this year also the club will host DJs like Monty and Leon Russel. The club is conceived especially for the live performances of musicians and your palate will be taken by surprise by the food they serve you. Kids are entertained made busy, at “Mini Frog”, by different activities. You can book a table at – 02261586158/02265251716/18.It is located at Senapati Bapat Marg, Lower Parel. Situated at Bandra West this restaurant has great ambiance, excellent staff, service is impeccable, Continental/Seafood/Mediterranean/Italian cuisine and two separate seating arrangement. The cost for two is approximately Rs.2600/- . Drinks are all made and the soups and the grilled chicken is a must. 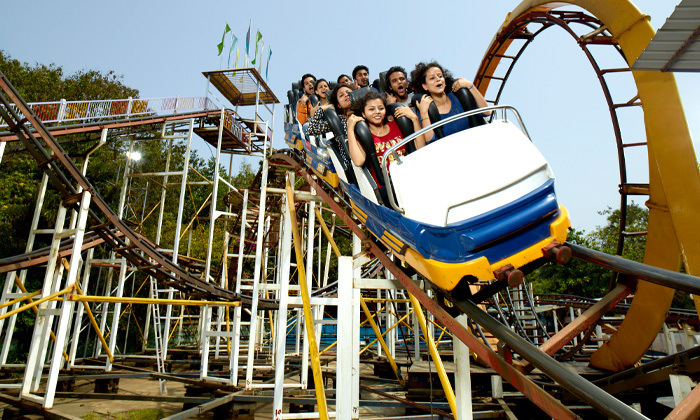 An amusement park situated near the city of Khopoli on the Pune- Mumbai highway, it is the destination for the whole family. More than six theme parks, 21 rides, five restaurants, characters kids love to meet, magicians, jugglers, still walkers, balloon man the list is huge. Children love to spend the whole day in the water park with more than 15 rides. The park has free Wi-Fi and access to pool and Gym. For more details call at – 02242130405. 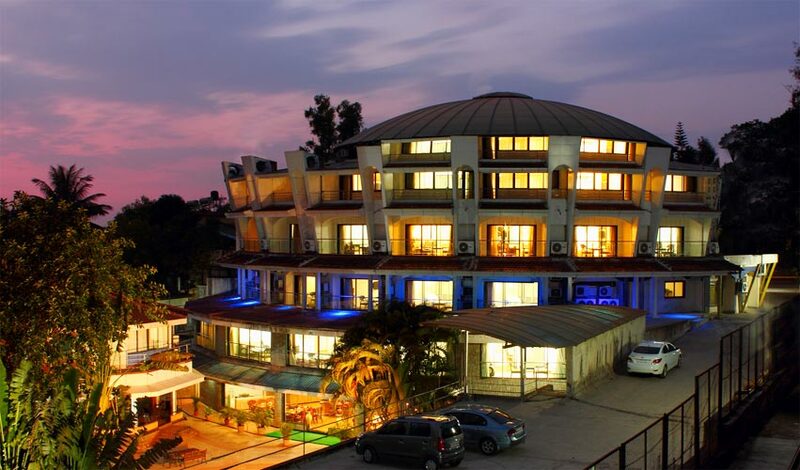 Situated at Tungari village in the heart of Lonavala city this is a three star Hotel with beautiful gardens, play area for kids, green Lawns, gymnasium, pool, and a bar. A complete package to spend the final day of the year and slowly move into the New Year with family. Spread over 2.5 acres of land the resort has a multi-cuisine restaurant. Make your reservations at -02228301757/952114279654/55. At Global Pagoda road, Borivali west this amazing amusement park has the biggest open air dance floor and an electrifying audio-visual. The attractions are – The Alibaba Adventure Mirror Maze, separate kids/adults/family rides, restaurants, Spectacular fireworks, party with DJs and composer. For more details contact at – 02265280305. Situated at Pandurang Budhkar Marg, Worli this 6000 Sq ft bar/pub has an outstanding menu and a memorabilia which consists of items of Madonna, U2, rock legends like Elvis Presley. Serves alcohol and an American cuisine, the music is very “Rock & Roll”. A beer and a steak would cost approximately Rs.600/- per person. Contact at – 02224382888. 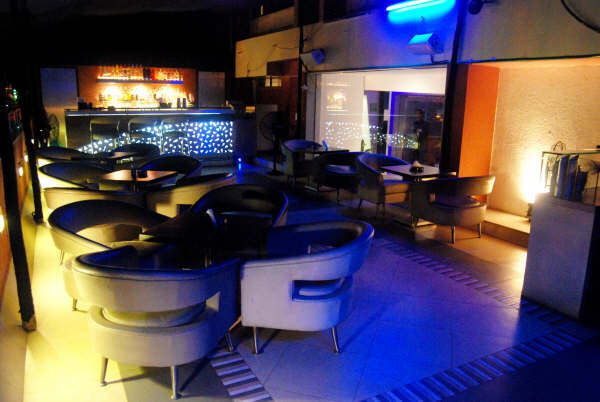 This dance club is loud with cool lounge bar, at Linking Road Khar. The walls have waterfalls which give a classy look under the blue neon light. There are seven zones with different magnitude of beats, music, and energy. When tired you can just let your feet down in the splashing pool and enjoy your drink. 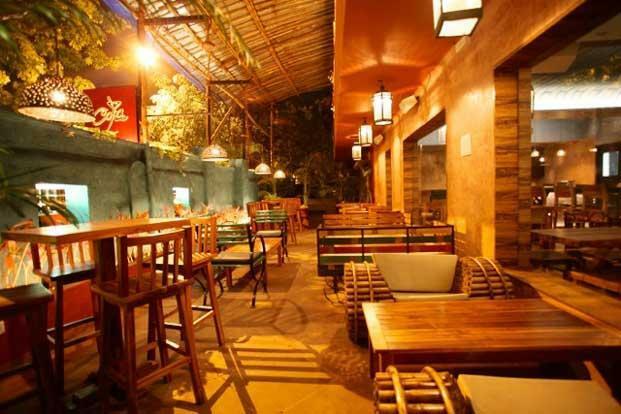 The club offers Chinese, Indian and Multi cuisine and cost for two is approximately Rs.1500/-. For more details cal at – 02226481400. The restaurants, clubs, bars, the choupati, Marine drive, Gateway of India, the theme parks, the crowd makes the city never sleep. You always cherish the moments spent in Mumbai clubs and it becomes so very memorable when the occasion is New Year Evening and is spent with your near and dear ones! Great blog. Thanks for sharing idea where to plan new year party. 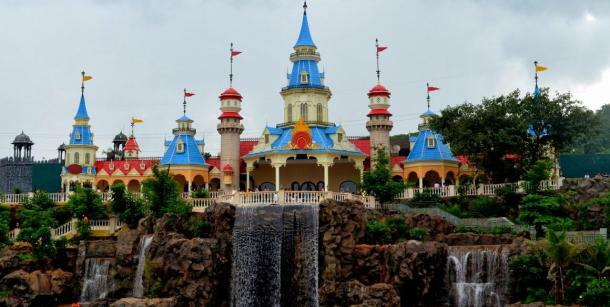 I liked Adlabs Imagica a lot its different type of place. 4. Location: LICEC Arena, Leonia Holistic Destination, Bommaraspet, Shameerpet, Hyderabad, 500078.